Be it wedding rings, or ‘just’ for fashion, men are becoming more creative with their jewellery. 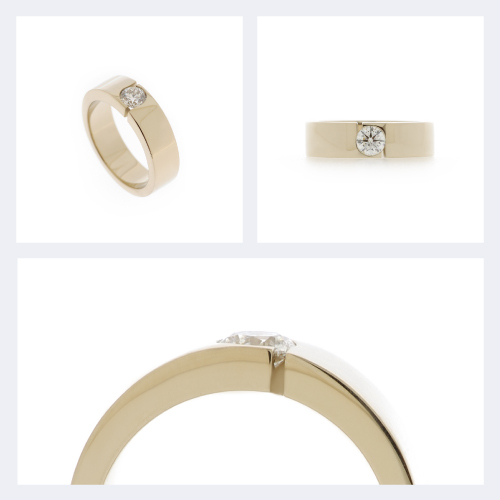 Gone are the days when men will get the thinnest or the most basic wedding ring, just because they have to. A ring can also be a statement, as you can see in these designs, custom made in the last few months. 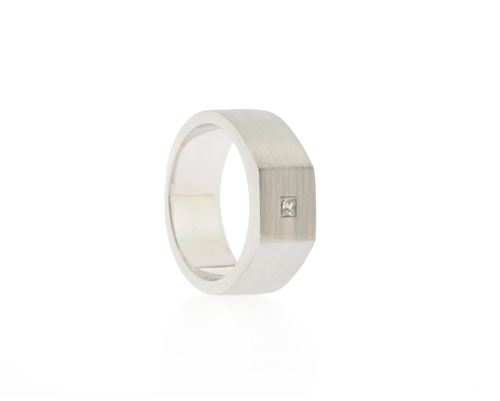 Chunky Men’s Ring with Round Diamond. Unpolished White Gold leaves the yellow tone of the original colour and makes this design that extra bit special. What is even more amazing, is that the tiny gap on the side of the ring, is positioned to reveal the entire laser inscription on the diamond girdle. Now, that will give you an idea of how small those numbers really are. Another chunky design with a square Diamond to match the shape. Matte Finish for that rough, manly look. Same shape in a much smaller version – for the pinky. Can be set with a gemstone of choice, and if you have a family crest or want to engrave your initials, that will sit just fine, too.